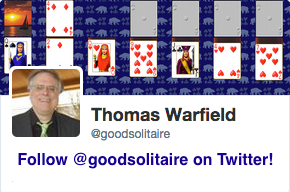 Screen shot of the game Great Triangle from Pretty Good Solitaire. 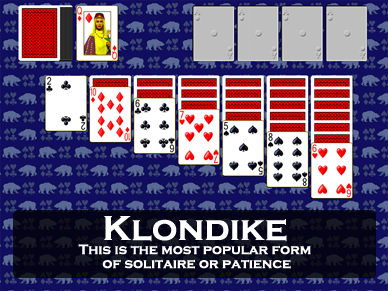 Great Triangle is a three deck Klondike type game. There are 12 foundation piles which will be built up in the usual way from Ace to King in suit. The game is won when all of the cards are moved here. There are 13 tableau piles. These piles will be built down by alternate color. 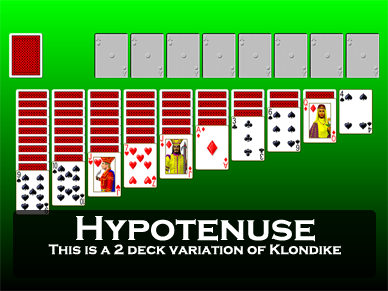 Groups of cards may be moved if they are in sequence down by alternate color. 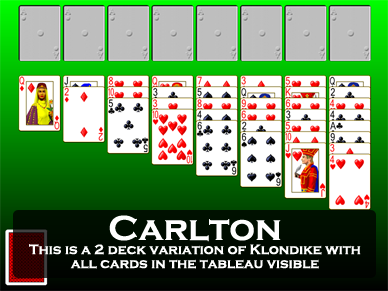 Spaces are filled by any card or legal group of cards. 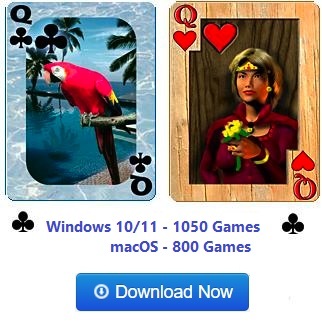 At the start of the game 1 card is dealt to the first pile, 2 to the 2nd, and so on. All cards are face up. 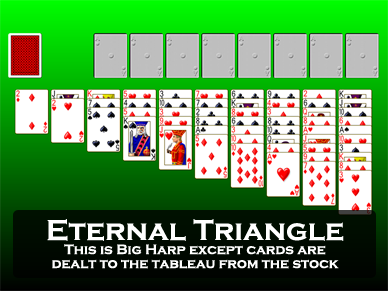 The remainder of the cards form a stock. When play in the tableau comes to a standstill, deal one card to each tableau pile by clicking on the stock. There are no redeals. 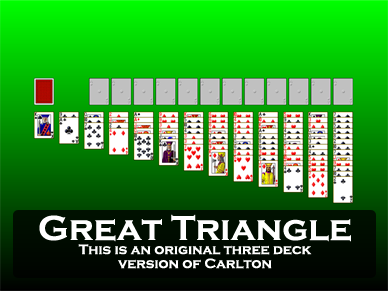 Great Triangle is a relatively easy game to win. An average player wins about 80% of the time.